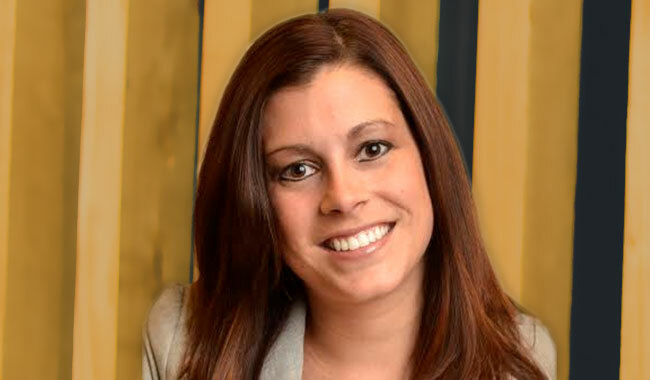 Megan joined Strothman and Company in 2012 after working for several years with a local CPA firm. She graduated from McKendree University, where she obtained a B.S. in Accounting and her M.B.A. Megan is a member of the Kentucky Society of Certified Public Accountants, where she serves as Chair of the BASE Camp Task Force (a group of CPAs that mentor high school students interested in a career in public accounting). 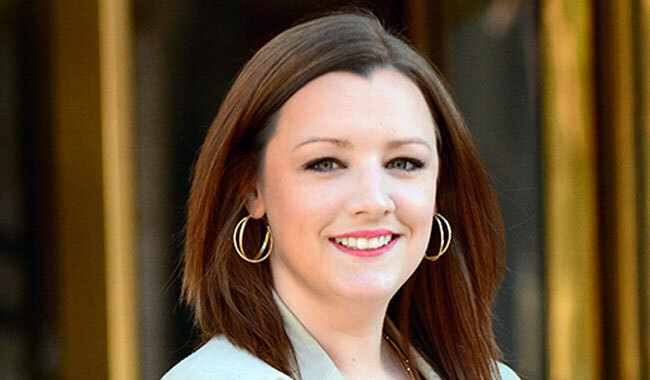 Megan is a manager in the Strothman and Company Tax Group; her specialties include working with high wealth individuals and closely held, family-owned businesses. She has experience working with individuals, corporations, partnerships, trusts and estates. Megan works closely with clients, providing daily support to help them achieve their goals. In her spare time, Megan enjoys traveling and spending time with her husband, Josh, and daughter, Emmy. Laurie Balmer has over 15 years of experience in public accounting. Six of these years were spent with a Big 4 accounting firm. Her expertise is in corporate, partnership and individual taxation. Laurie serves a variety of industries but specializes in family-owned businesses and real estate. Laurie works very closely in a consultative manner with the owners and management of the businesses she serves. She also works closely with many individuals in regards to year-end tax planning and compliance. Laurie and her husband reside in Georgetown, Indiana. They enjoy spending time on their boat at Barren River Lake in the summer. Director, Past Treasurer and Past President, Venture Club of Louisville, Inc.
Past Treasurer and Past President Visually Impaired Preschool Services, Inc.
With a depth and breadth of business experience that few in the industry can match, Bill Carroll brings clients a wealth of practical knowledge and dynamic ideas for operational improvement. He has deep experience in virtually every industry sector, as well as with a wide variety of nonprofit organizations. As a partner in the firm drawing from over 30 years of experience, he works closely with owners and managers to help them strategically prepare for the future and take their businesses to the next level of operational effectiveness and profitability. Bill joined Strothman and Company in 1990. His areas of specialty include accounting, audit, tax and business consulting. He also provides litigation support, mergers and acquisitions and forensic auditing services. Before taking a leadership role at Strothman and Company, Bill served in various capacities at Deloitte & Touche LLP over the course of 20 years. Because of his extensive background in issues essential to the financial success of businesses, Bill is frequently invited to speak publicly on a variety of business and financial topics. Clients say that Bill’s interests in coaching basketball, religious studies and Civil War history are telling. His personal talents make him an ideal professional to coach them to sound decisions and master the complexities inherent in today’s financial world. Terri Cummings joined Strothman and Company in 1995. She provides accounting, tax and consulting services for closely held, owner-managed businesses. Terri had over 18 years of experience in private industry before going into public accounting. She utilizes her experience to help clients with a hands-on approach. Before joining Strothman and Company, Cummings was the office manager for a manufacturer, Midland Communications Packaging, Inc., in Bluegrass Industrial Park. She was responsible for all accounting functions. She also served as the administrative assistant to the president of the company. As a manager in the firm, Terri works with a diverse client base and her experience is a valuable asset when assisting clients in such industries as manufacturing, sales and distribution, construction, nonprofit organizations, restaurants, services, thoroughbred breeding and training, and individuals and trusts. In her spare time, Terri enjoys cooking and taking walks with her dogs on her farm in Henry County, Kentucky. Wayne joined the firm’s Tax Group as a manager in 2013. His experience includes tax preparation, research, planning and audit response for individual and business clients. His business clients operate in a variety of industries including healthcare, wholesale distributors, real estate and manufacturing organizations. He participates in the firm’s education and training efforts and writes for the Strothman and Company tax blog. Wayne realizes the value of up-to-date accounting information in managing the day-to-day operations and financial aspect of various business entities. As a certified QuickBooks ProAdvisor, Wayne is ready to partner with you in addressing this need. Accounting experience prior to joining Strothman includes consultant & CPA with Healthcare Practice Consultants, LLC, controller for R. J. Thieneman Realty Group, LLC, and supervisor/staff CPA/accountant with Weinberg, O’Koon & Browning, PSC, and Potter & Company, LLP. Adding to his diversity of experience, Wayne spent 27+ years as an air traffic controller with the Federal Aviation Administration, the last 21 of which were at Standiford Field in Louisville, Kentucky. Born in Louisville, Wayne grew up in Pensacola, Florida, and relocated to Louisville in 1983. He currently lives in Goshen, and spends his free time with his wife of 33 years. He enjoys working in the yard, around the house and on cars. He also looks forward to taking in his son’s football games and daughter’s piano recitals. Estate Planning Council of Metro Louisville, Inc.
With experience that spans both public accounting and private industry, Darren Forish is particularly suited to help clients through the Entrepreneurial Business Solutions (EBS) Group. He often provides outsourced CFO services, helping companies that do not have such a professional resource in-house. With a diverse skill set, Darren is the go-to person for any business need the entrepreneur may have. He assesses each situation and aligns the appropriate resources to meet them. Darren assists small-business owners and CFOs with financial statement reviews and compilations. He offers creative tax-planning solutions for the minimization of taxes and solves other tax and accounting issues. Darren is a certified QuickBooks ProAdvisor, which makes him particularly valuable to clients using this business financial software. Prior to joining Strothman and Company, Darren worked as a controller for Danzinger Associates and as the accounting manager for Zavos Diagnostic Laboratories. His technical background and experience with non-accounting work functions make him uniquely qualified to work closely with and understand the businesses he serves. Darren loves to stay active, and he is a versatile player on any sport team – or business team. Jennifer French has 20 years of experience working in both public and private accounting. Her public accounting experience includes areas of audit, review, compilation, and agreed-upon procedure engagements. In her first eight years in public accounting she worked with both tax and audit engagements. For the last four years, Jennifer has worked exclusively with audit engagements. Past industry experience includes six years of manufacturing experience, and two years of healthcare experience. Jennifer serves a variety of industries but specializes in serving governmental entities, employee benefit plans, manufacturing companies, school districts, nonprofits and various for-profit entities. She rejoined the Strothman and Company family in 2008, having worked here previously from 1998 to 2000. After she returned to Louisville from Bowling Green, Kentucky, we were happy to welcome her back to the Strothman team. With more than 30 years of experience in the public and private sectors, Rowe Hamilton brings an unparalleled depth of expertise to clients and Strothman and Company employees alike. A partner in the firm since 2005, Rowe provides specialized accounting and tax-consulting services, advising closely held businesses, high-net-worth individuals and any client in need of his services. Rowe works closely with his clients and, often, their families. Because of his close relationships, clients frequently call on him for his opinion on business decisions and personal buying decisions alike. Business owners and their spouses may ask him to sit down and help them work through their ideas for the future. Within these relationships, Rowe helps owners protect and build their personal wealth and grow their businesses. Rowe’s professional expertise spans federal and state income taxes, estates and trusts, Kentucky property taxes and auditing. He spent the majority of his career as a founder and managing partner of Mather, Hamilton & Company. His longtime experience in both running a business and serving business clients gives him a perspective clients highly value. In addition to this professional experience, he served as staff sergeant in the U.S. Army Reserve, 100th Division. Rowe serves his church, community and the world through his involvement in multiple service and business associations. He has made several mission trips to the Dominican Republic and Poland. As a senior manager in our tax department, Caraline works closely with a wide array of entities and individuals, including corporations, partnerships, closely held businesses, and fiduciaries. Services include consultation, development of tax strategies, management of tax preparation, gift and trust administration and estate planning. She specializes in the real estate, automotive, farming, bioscience and equine industries. Caraline has over 10 years of experience in public accounting and provides excellent service, consistently exceeding the expectations of her clients. Caraline joined Strothman and Company in 2011. Prior to joining Strothman and Company, she worked with two other Louisville public accounting firms performing services including financial statement reviews and compilations. Caraline graduated with high honors from the University of Louisville in 2006 and obtained her CPA license in 2009. Caraline is a member of the Kentucky Society of Certified Public Accountants, American Institute of Certified Public Accountants and serves as the treasurer of the Clifton Center. A partner in the Tax Department, Quinn Hart has over a decade of experience working with business owners on their tax planning and returns, helping them minimize their tax liability. She makes it a priority to explain each strategy and even the most complex taxation issue in plain, everyday language anyone can understand. Quinn also provides the daily assistance that makes a difference in the operations of an entrepreneurial business. Since many of the clients she serves do not have a CFO on staff, she stays accessible with ready answers to questions ranging from general accounting to QuickBooks functionality to which banks are the best sources for financing. Quinn serves a variety of business sectors, including professional services, real estate, retail, manufacturing and distribution. Quinn’s personal commitment to excellence extends to her personal activities. She serves as treasurer of the Louisville Network of Entrepreneurial Women (NEW). NEW is a grassroots group of local women business owners offering support towards the entrepreneurial success of women through education, mentoring and networking. She is also involved in the Louisville chapter of the National Association of Women Business Owners (NAWBO), serving on the committee to plan the annual EPIC Awards. A partner since 2009, Joe Johnston brings to his clients nearly 22 years of experience working in both public and private accounting. He uses his longtime experience in developing tax strategies to help clients minimize their tax liabilities in ways that do not interfere with day-to-day business. Over the last decade, Joe has focused on tax planning and consulting, helping clients arrive at the best tax strategies and guiding them in their business operations. Joe excels in project management, and he empowers clients to make well-informed decisions. He helps clients interpret that data in meaningful ways so they can better understand their daily business operations. He believes strongly that only by merging financial data, tax-planning strategies and operational realities can management see, understand and manage the critical issues facing the business. Joe has served a wide range of manufacturing companies, including tier one and tier two automotive suppliers. He has done work for companies specializing in injection-molding, forging, plastics, construction and engineering. His clients have ranged in size from under $5 million to over $100 million in revenue. Before joining Strothman, Joe worked two years as controller for a $200 million division of a multi-national engineering company. With this deep background, he can readily help clients implement the best financial practices used by leaders in manufacturing and niche construction. Joe is a frequent seminar speaker and a media contact on subjects such as new tax pronouncements and the implication of healthcare reform. 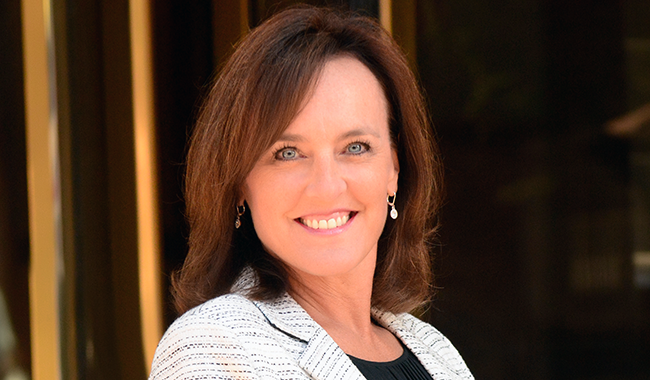 Kim Jordan joined Strothman and Company in November 2014 during the merger with Logsdon & Co., PC. Prior to the merger, she had been with Logsdon & Co., PC, specializing in the preparation of tax returns for individuals, corporations and partnerships since August 1999. She remains part of our Jeffersonville, Indiana, office team. She specializes in real estate, small business, and the equine industry. Kim is a QuickBooks Proadvisor and provides guidance to her clients with implementation and troubleshooting of the various QuickBooks platforms. Kim resides in the Valley Station area with her husband and two sons. Together they are involved in bowling and scouting. Jeanna Jones began her career with Strothman and Company in 1996 as a staff accountant. As a partner in the firm’s Assurance Department, Jeanna’s responsibilities include coordinating the in-house accounting and auditing library, mentoring the Assurance Department staff, managing multiple assurance engagements simultaneously, and overseeing the completion of tax returns. In addition to managing audits, Jeanna works closely with owners and managers of various closely held businesses and nonprofit entities, helping them to improve their financial operations. She also works closely with many individuals in regards to year-end tax planning and compliance. Jeanna is involved with a variety of industries including government, not-for-profit, telecommunications, manufacturing and distribution and advertising. Before joining Strothman and Company, Jeanna worked as a staff accountant for Jones, Nale and Mattingly PLC. During her tenure there, she was responsible for the preparation of individual, corporate and partnership tax returns. She also assisted with various audit engagements including bank audits. Jeanna was born in London, England, when her father was stationed there while serving with the United States Air Force. She and her family lived in several states while he was in the service. Her parents, originally from Indiana, settled there with the family in 1986 after his retirement from the military. Jeanna currently resides in Salem, Indiana. She is very involved in her church and serves as the Assistant Treasurer. Jeanna spends as much time as possible with her family and their two miniature schnauzers, but in her free time, she enjoys bowling in a mixed league. John Kennedy joined Strothman and Company in 1990. As a partner in the firm, he provides comprehensive consulting services to meet each of his clients’ specific needs. John serves a variety of industries but specializes in manufacturing, distribution, construction and advertising companies. He also works with a number of nonprofit organizations. Prior to joining Strothman and Company, John spent a year as a financial analyst for YUM Brands, Inc., where he was responsible for reviewing new or proposed accounting pronouncements and identifying troubled franchisee operations. John started his public accounting career at Ernst & Young four years prior, where he conducted audits of both publicly and privately held corporations. With over 29 years of experience, John utilizes his knowledge and understanding of accounting to provide tax minimization and cost-saving strategies to his clients. Recently, John assisted a client in the implementation of an Employee Stock Option Plan (ESOP), which will ultimately result in the elimination of significant deferred income tax liability. For another client, he provided due diligence services regarding an acquisition target, resulting in a substantially reduced purchase price for the buyer. In essence, John serves as a trusted advisor to each of his clients, providing guidance on important business decisions as they arise. John is a native of Kentucky, and currently resides in Crestwood with his wife, Kelly, and their two children. In his spare time, he enjoys spending time outdoors, golfing, hunting and fishing. J.A. Koontz is a senior manager in the firm’s Entrepreneurial Business Solutions (EBS) Group at Strothman and Company. With more than 20 years of experience in private and public accounting, J.A. is familiar with the issues facing entrepreneurial clients. J.A. uses this experience to help entrepreneurs avoid pitfalls and focus opportunities to grow their business. He listens to business owners’ concerns and advises them on possible solutions. J.A. joined Strothman and Company in 2006 and enjoys working with the diverse clients our EBS Group serves. He works closely with business owners in preparation of their financial statements and minimizing their tax liability. J.A. also assists entrepreneurs with payroll issues in their businesses. J.A. is a native of the Louisville area and resides in Pewee Valley with his wife, Dawn, and their three children. In his spare time, he enjoys attending his children’s sporting events. It requires a diverse set of skills to own and successfully manage any enterprise in today’s world. That’s why so many business owners turn to Bill Meyer, a partner in the firm since 1995, for sound advice and guidance. With a particular interest in closely held, owner-managed companies, Bill serves clients in a broad range of industries as they launch, grow, invest, maximize, invest and sell their businesses. He firmly believes the key to any client’s success is coordinating the financial, operational and tax components to achieve the ultimate goal of increasing the owner’s net worth. On a regular basis, he can be found assisting with matters such as financial reporting; forecasts and projections; cash management; financing; and business improvement. He provides services in the areas of accounting, assurance, tax planning, valuations and investment advice. With his background in both private business and public accounting, Bill is a trusted advisor when clients buy or sell their businesses, providing assistance throughout the process, including identification of possible buyers/sellers, due diligence, financial analysis, tax planning and deal structure. Prior to joining Strothman and Company, Bill worked at the multinational professional services firm of PricewaterhouseCoopers for 13 years and served as the vice president of finance for a top-25 nursing home company. Bill graduated with honors from the University of Louisville and is involved in a number of professional, community and charitable activities including serving on the board and as past Chairman of Family and Children’s Place, and on the boards of Agape Christian Ministries and the Cabbage Patch Settlement House. He is a member of the National Association of Certified Valuators and Analysts and of the American Institute of Certified Public Accountants, including past service as a member of their national governing council. Bill is a longtime member of the Kentucky Society of Certified Public Accountants, where he has served in numerous roles including president and treasurer. Bill’s personal interests include running, skating, ballroom dancing and Bible study. Bill’s approach to business advice is action-oriented as well as thoughtful. Clients say he provides the exact blend they need to succeed. 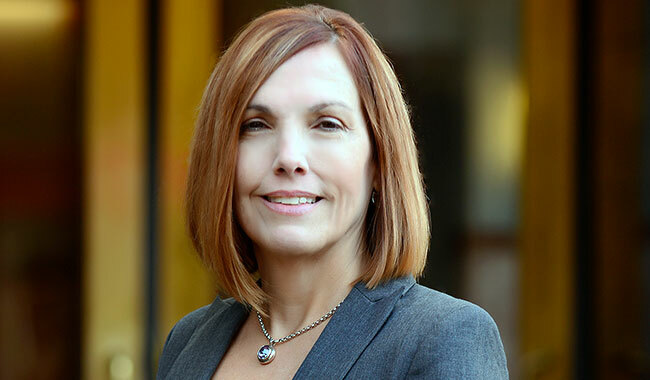 Terri Ollis joined Strothman and Company in April 2002. Terri provides an array of high-level financial management assistance including business set-ups, financial statement compilation and review, management consulting, business tax planning, business valuations and various other CFO-related services. 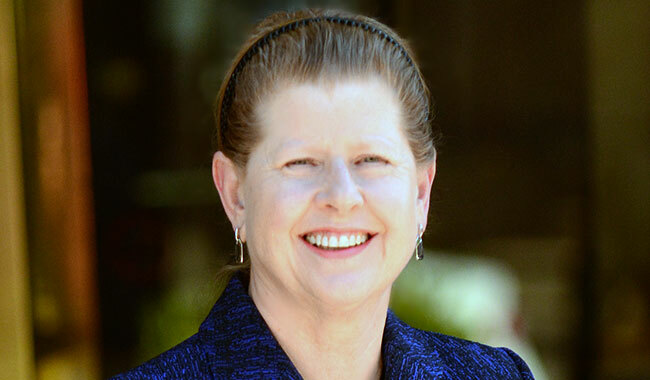 Terri began as a professional in the accounting field in 1998. Working for Anderson, Gablemann, Lower, Whitlow, P.C., from 1998 to 2002, she dealt with a variety of clients and prepared interim financial statements, payroll tax reports, compilations, reviews, small audits, and individual, corporate and partnership tax returns. Terri particularly enjoys working with start-up businesses – helping them to get their bearings in the marketplace. Ideally, she sees her role of an outsourced CFO as a catalyst for enhanced growth and profitability. Her clients most appreciate her ability to keep her eye on the bottom line and make proactive suggestions for business improvement. For example, Terri once helped a client refinance over $2 million of debt to capture a much lower interest rate. This change in financing resulted in significant cash flow improvement for the client. Growing up on the bay of Lake Superior in Munising, Michigan, she attributes her strong work ethic and pride in what she does to her parents, who encouraged her to work as soon as she was old enough. Terri currently resides in Louisville, Kentucky, with her husband, Jason. In her free time, she enjoys golfing, running and football. Meaghan is a senior manager in our Entrepreneurial Business Solutions (EBS) Group. Meaghan provides a wide array of services for family and closely held businesses and their owners. These services include tax strategies and preparation, accounting and financial statement audits, reviews and compilations. She is experienced in a number of industries, including construction, manufacturing and nonprofit. Meaghan joined Strothman in 2007. She graduated from Indiana University and is involved in professional, community and charitable activities including serving on the board of the WHAS Crusade for Children. She is a member of the American Institute of Certified Public Accountants and the Kentucky Society of Certified Public Accountants, where she serves as Chair of the Emerging Professionals Focus Group. In her spare time, Meaghan enjoys cooking, spending time outdoors and traveling with her husband. Prior to founding Pallas Partners in 2007, Matthew was with JPMorgan as Managing Director of Private Client Services. He was responsible for overall management of the Kentucky and Tennessee markets including recruiting, budget, strategic partnerships, branding, marketing, and daily operations. Prior to JPMorgan Matthew was with Todd Investment Advisors as the Director of Business Development and Client Service where he was responsible for creation, oversight, and execution of the strategic business development plan. He and his family relocated to Louisville from Connecticut where he was the Founder and CEO of Mercury Wealth Management a multi-branch OSJ, which was sold to a private entity. Prior to Mercury, he founded eTrustco, a technology based trust company which he sold to a publicly traded company and remained with, as President and COO. Matthew began his Wall Street career in 1984 and during the bulk of his career worked as a Senior Investment Consultant to corporations, government entities, foundations and endowments. A well-known industry leader, his Wall Street leadership positions included affiliations with Prudential, Solomon Smith Barney, and Drexel Burnham Lambert. Matthew attended the University of Pennsylvania’s Wharton School of Business and through them received the Certified Investment Management Analyst (CIMA) designation. Elected to “Who’s Who” of investment consulting in 1999 he is a well-known national speaker and has spoken at multiple national conferences on current issues facing corporate management. His published work has appeared in Business First, National Cities, The Hartford Courant and The Hartford Business Journal among others. He also hosted a weekly radio show on finance from 1992 – 1998. Rory Satkoski is a partner in the Entrepreneurial Business Services Group at Strothman and Company. The EBS Group works with small-business owners and CFOs to assist with business reporting needs, minimization of taxes and various tax and accounting issues. Rory provides high-quality outsourced CFO services, reviews, compilations, and innovative and creative tax planning solutions for small-business clients. Rory is also a member of the National Association of Certified Valuators and Analysts (NACVA). This is an organization of business valuators who have completed a specified curriculum of study of professional business valuation techniques, concepts and procedures, and have successfully completed an examination of those standards and maintained the certification through required continuing education. Prior to joining Strothman and Company, Rory worked as a product development chemist for PPG Porter Paints and as a sales and service representative for Madison Chemical Company in the Paper Mill division. He also worked for another accounting firm for three tax seasons performing audits, reviews, compilations, and preparation of tax returns. His technical background and experience with non-accounting work functions make him uniquely qualified to work closely with and understand the businesses he serves. Jim Stevison joined Strothman and Company in 1997 and is a partner in the firm’s Assurance Group. Jim provides efficient management of assurance engagements for his clients as well as proactive solutions to business, financial and reporting issues. He works with clients in a variety of industries including nonprofit organizations, healthcare and wholesale distributors, real estate and manufacturing organizations. He leads the firm’s education and training efforts and manages the firm’s staffing levels for the Assurance Department. Jim began as a professional in the accounting field in 1998 when he passed the Kentucky CPA exam on the first attempt. Prior to joining Strothman and Company he worked for Croghan & Croghan PC in St. Louis, Missouri. While there, he performed work for school districts and other governmental agencies. Jim also performed other write-up services and tax preparation for small-business clients. This experience was excellent preparation for his career at Strothman and Company. Inspiration came to Jim Stevison at an early age. His high school math teacher and football coach suggested that Jim take an honors accounting class. Always having a love for math, his accounting class sparked an even bigger interest. Since then, Jim has known the accounting field was where he wanted to make his career. Jim grew up in St. Louis, Missouri. He moved to Louisville permanently in 1998 and resides in Pewee Valley, Kentucky. In his free time, Jim enjoys spending time with his wife and daughter. He also enjoys travel, cooking and playing softball and soccer. Partner Dennis Thomas provides clients with a comprehensive analysis of the tax and associated legal issues pertinent to their businesses and personal finances. He holds degrees in accounting and law, as well as a master of law degree in taxation. For closely held businesses and their owners, he often becomes a trusted advisor. Dennis listens carefully to clients’ needs and goals and determines ways to efficiently and effectively reach those goals while minimizing the tax liability. He specializes in complex corporate and business income tax planning and compliance. Dennis also advises on estate planning and the administration of estates and trusts. His background gives clients access to the highest level of expertise in the area of taxation of property transactions. Dennis provides additional expertise in business valuation, mergers and acquisitions, and tax matters concerning real estate owners and developers, including rehabilitation of historic structures and other issues. In a constantly changing world, his background allows him to provide a unique perspective not available from most advisors. When Dennis is not immersed in tax and legal issues, he can be found boating and fishing on Lake Cumberland or Dale Hollow Lake. Mark Turner joined Strothman and Company in 2010 and is now a manager in the firm’s Assurance Group. Mark works with a variety of businesses and nonprofit clients. He has significant experience performing audits under OMB A-133. Prior to starting his career in public accounting, Mark worked for seven years in the consumer lending business, with most of that time spent serving in management. Working as a manager taught Mark the skills needed to work with diverse groups of people and employees. This skill set has made him a valuable part of the firm. Mark’s love of detail and his patience in explaining complex issues to clients make him a natural fit for his career in public accounting. Mark currently sits on the Board of Wednesday’s Child, whose mission is to recruit adoptive families for older foster children, to help provide support for the children while they wait and to provide encouragement and support to adoptive families. As a manager in Strothman and Company’s Audit Department, Rene Valadez works with clients to understand their needs and concerns. Rene works closely with clients on benefit plans as well as sales and use tax issues. Through this work, Rene has gained significant experience working with the Department of Commerce and tax liability issues. Rene passed the CPA exam and joined Strothman and Company in 2011 as well. He has already proven himself to be a great asset in fostering deeper business relationships with our Hispanic clients. Josh Zik is a senior manager in the Entrepreneurial Business Solutions Group (EBS Group) at Strothman and Company. The EBS Group works with small-business owners and CFOs to assist with business reporting needs, minimization of taxes and various tax and accounting issues. Josh provides high-quality audits, reviews, compilations, and innovative and creative tax planning solutions for small-business clients. Josh has eight years of public accounting experience; all of those include gross receipts and contract compliance experience and vendor, service and construction contracts. He has also spent seven and a half years working with governmental clients. In addition, he has worked as an auditor for an international firm, Ernst & Young. Josh is a member of the Association of Certified Fraud Examiners (ACFE). The ACFE is the world’s largest anti-fraud organization and premier provider of anti-fraud training and education. The Certified Fraud Examiner (CFE) credential denotes proven expertise in fraud prevention, detection and deterrence. Josh graduated from the University of Kentucky in 2001 with a B.A. in Finance and Decision Science and Information Systems. He received his advanced accounting certificate from Bellarmine University in 2009, and passed the CPA exam in 2010.